When I ring the buzzer to be let into Hester Yaworski’s apartment, it’s the first time I talk to her. Our cooking date was set up by her son Andrew and his partner Raquel Briggs. Raquel is a former student in from my Distilled Prose class; we bonded over grammar, travel, and science fiction so we still keep in touch. When she heard that I was working on a project about my Dutch heritage, she set me up with Andrew and his mom. After brief introductions we dive right into cooking the hutspot. 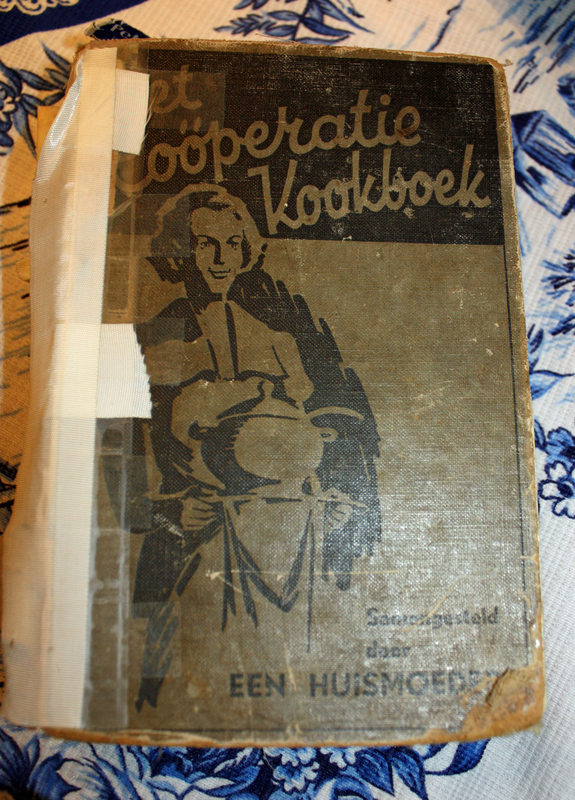 Hester doesn’t use a recipe but she shows me an old family Dutch cookbook from 1939 that is being held together with tape. 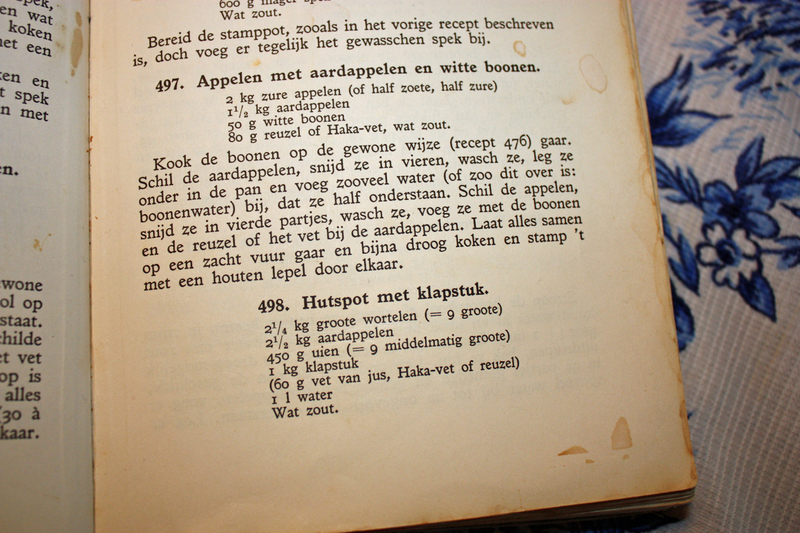 We handle it gently and turn to the marked recipe for hutspot, in Dutch. I can’t read it, so Hester walks me through the ingredients, before we put the carrots and potatoes to cook on the stove. Then we can relax and chat. 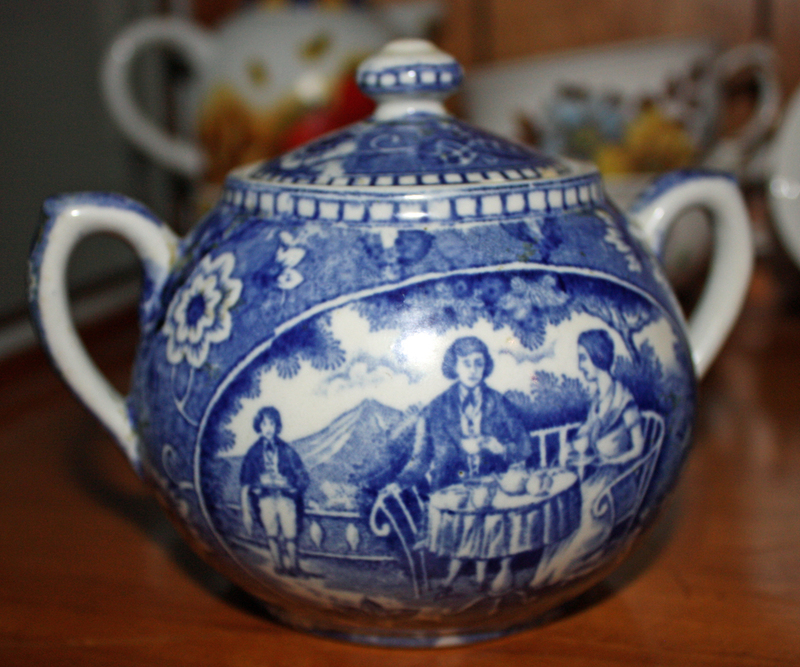 Raquel sits on the couch in the living room beaming at us bonding over our common background, until she can’t help but point out some of her favorite Dutch pieces in the china cabinet. 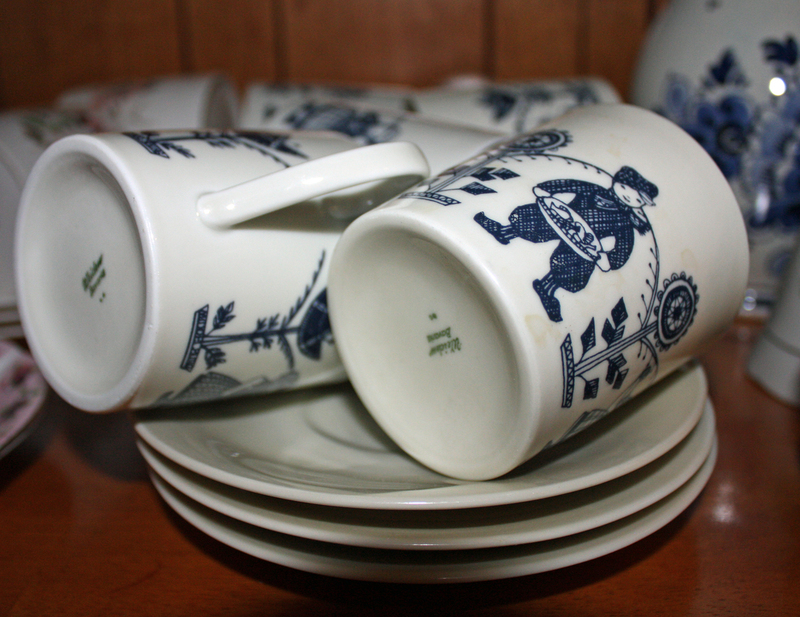 The handpainted pieces are aged—worn and crazed.There are a few family photos displayed amongst the China. Hester’s mom was born in Amsterdam and her father was born in Haarlem, she was born in Den Haag. Her whole family including Hester, her three brothers, and a sister, moved to Canada in 1957. They moved to Sydney on Vancouver Island because her dad had a sponsor there. Although the sponsor and original job only lasted six weeks, they stayed. Hester is the only one of the five siblings who can still speak and write Dutch. I ask Andrew if he speaks Dutch. Hester admits that with her husband in the Navy she could have spoken Dutch at home whenever he was overseas, but she never did. 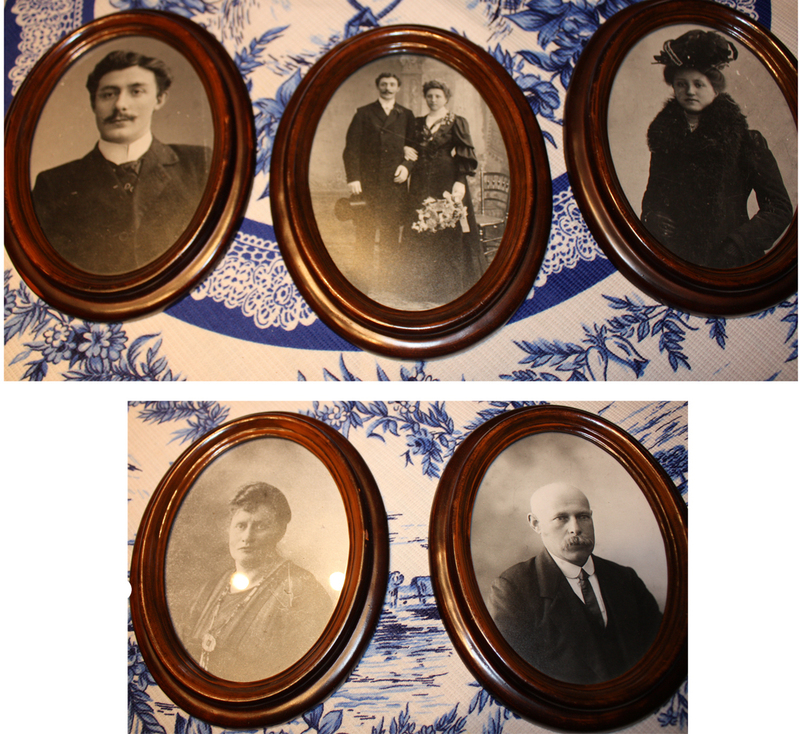 Like my own parents, arriving as a child meant by the time she was raising her children, she generally spoke English. Hester’s husband Paul, who has since passed away was not Dutch but from German on one side and Poland on the other. “My mom liked men in uniform and my dad liked foreign blonds,” Andrew says. Hester shows me her wedding picture. I admit that Hester and Paul Yaworski make a good looking couple. Hester tells me her maternal grandfather was actually of Spanish descent and her maternal grandmother was Jewish although they both were born and lived in Holland. “You’re a proper Canadian hybrid,” I tell Andrew. “I do have a good portion of Europe covered,” he agrees. I ask Andrew which of his various cultural heritages he feels more connected to. “One of the things my dad loved about my mom was that she had a close family,” he tells me. His dad’s side of the family wasn’t as close-knit and they didn’t see them as often so his mom’s Dutch background was more prominent growing up. Andrew says he doesn’t think that a lot of Dutch culture was passed down outside of the food, but Raquel says his heritage might be more apparent than he thinks. She tells me that they went to the Dutch Delicious Bakery for the first time together the previous day where she saw a side of Andrew she’d never seen before. “He was touching things, pronouncing names and teaching me out to say them,” she says. “He was going a bit crazy. And I realized he is a total chocolate snob.” Hester, Andrew, and I all agree that Dutch chocolate is superior compared to a list of other options. 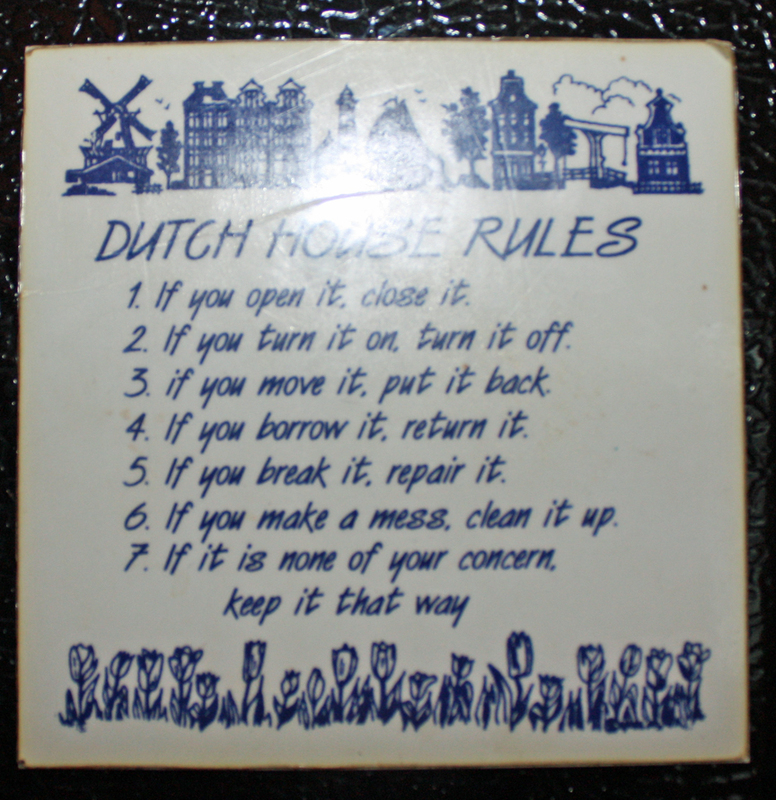 We discuss the notorious Dutch directness. “What’s wrong with a little white lie?” Hester asks. Yet when they were inspecting the fresh boterkoek I brought, Hester tells me she makes it differently (better) with an almond paste inside. “It’s clearly not as good,” Andrew says. We all laugh together. I don’t know Andrew or his mom well, but this exchange makes me feel at home and comfortable rather than injured. I am well familiar with this kind of humour and I have been in trouble for being a too direct myself on occasion. Andrew’s partner Raquel, whose family is Greek, watches this exchange both amused and a little horrified. “Look at you being Dutch all together.” She tells us that Greeks are completely the opposite and often indirect and overly polite. Raquel and Andrew reminisce about meeting two Dutch women in a restaurant on a recent trip to Greece. When Andrew tried to talk to them and connect over his Dutch heritage, one of them demanded, “Why don’t you speak Dutch then?” He apologized and explained he never learned. She turned away with a huff—couldn’t be bothered to take the time to talk any longer to such an imposter. Hester goes into another room and starts to bring photos and Delft blue tiles that were still packed away—I’m forcing her to unpack for me. She lays out a family tree in photos, showing me both sets of her grandparents. When the hutspot is ready, Andrew and I explain to Raquel how to make a volcano out of the mound and fill it with gravy. I form mine with my fork; Hester does hers more elegantly with the gravy ladle: shaping and filling in one motion. We take a slice of sausage and gather around the table together. 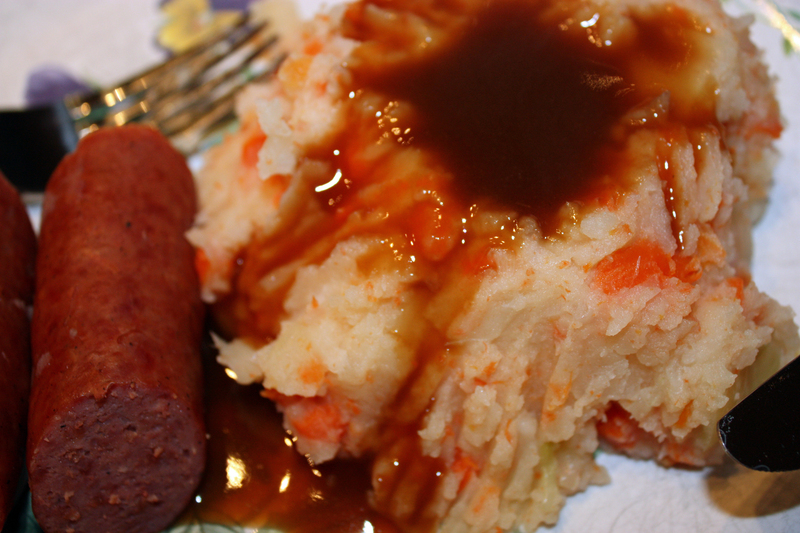 Over dinner we discuss droppies, or Dropjes as you would properly call them in Dutch. It’s a salty licorice candy that comes in single, double, or triple saltiness. This is something Raquel can get behind because the Greek also have a taste for licorice. It’s not something that many outsiders can acquire a taste for, and it is a general amusement to give an unsuspecting outsider a taste and watch them recoil in horror. Hester asks me if I know any Dutch songs. I confess I don’t. Raquel puts me to shame by singing We Zijn er Binje (We’re Almost There) which she learned from Hester. Then Hester sings Hoedje van Papier (Paper Hat) and tells us about how her grandfather used to make paper hats and horns from newspaper. Donning the creations, everyone would run and sing. 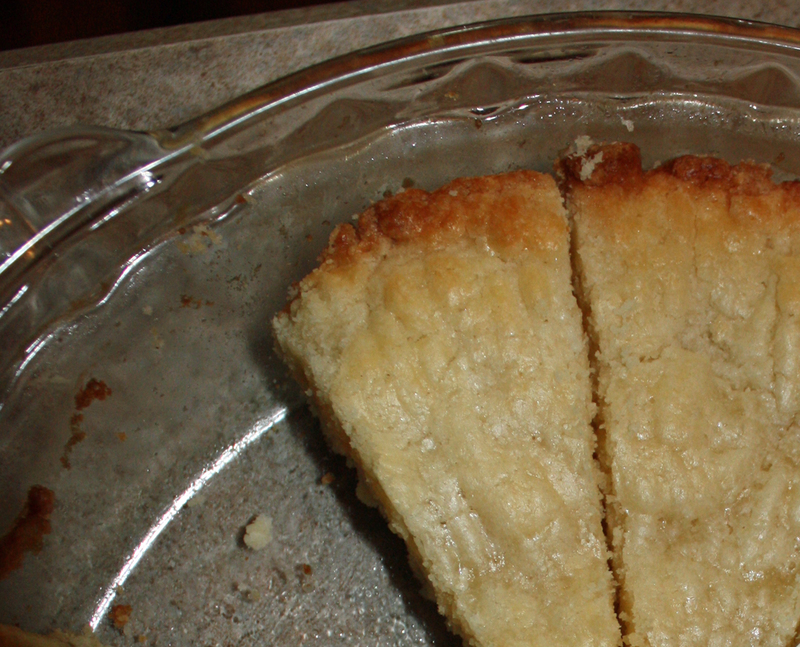 We end the meal with a slice of boterkoek. As he takes his first bite, Andrew turns to me, “I take it back. I apologize,” he says, “this is excellent.” Hester agrees, “It’s not what I was thinking of. I like the almond.” Perhaps we are not so direct after all. Before I leave, I promise to contact Hester and let her know when the local Dutch market is on in the spring so we can go together to eat kroketten and poffetjes. It might be our first meeting, but I have the feeling it won’t be our last.